More - Lisa M. Wong, M.D. The connections between music, medicine and service are growing by the day. 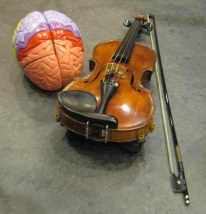 There is great research going on in music education, music therapy, the neuroscience of music, the neuroscience of empathy, creativity...the list goes on. And it seems that more and more wonderful programs are starting up across the country.